Once upon a time, when the tale of a political scandal found its way into print, the nation's literati would jostle to get their hands on it. The grisly tale would unfold, bodies would be uncovered to gasps of "No!" as the establishment names were named. So it's in this post-modern context that Guardian Foreign Correspondent, Luke Harding's, tediously titled book The Snowden Files has made its way into print. Harding talks of Snowden, stuck in the Russian Federation, as being "In some sense its captive." …er in what sense exactly? In the sense that if he comes to the West, he'll be locked up forever for exposing corruption? Harding suggests Snowden might not have been granted asylum, but be a 'prisoner' stuck in 'Stasiland', a reference to the Soviet era East German secret police. But we are not in the Soviet era and the Stasi, if anywhere, are insinuating themselves right now into the beds of innocent female environmental activists in Britain, tasering Occupy Wall Street and 9/11 Truth activists in the USA, targeting domestic citizens with killer drones and possibly, in the case of Michael Hastings, assassinating real investigative journalists, Harding's 'competition'. With Chelsea Manning serving 35 years and Julian Assange under house arrest at London's Ecuadorian Embassy, Edward Snowden has shown how whistle blowing must be managed now in the so-called free world. Turning the former CIA analyst and Booz Allen contractor's devastating leak on its head, The Snowden Files should have a heading not under 'political scandal' but under 'black propaganda.' Transatlantic signals intelligence agencies, the US National Security Agency (NSA) and British Government Communications Headquarters (GCHQ) have been bugging 'friendly' leaders’ calls, conducting Denial of Service Attacks, ripping the hard drives of offline computers, and planting spy ware on couriered laptops, all illegally. Lawyers, surgeons, jurors, journalists, judges, editors, elected politicians, priests and military officers… The private affairs and official deliberations of all these professionals are laid at the feet of transatlantic 'Agent X', whose loyalties could be to anyone, anywhere. Neither does 'X' have to trouble parliament for a reason, or a judge for a warrant. GCHQ and the NSA are in the grip of 'school bully' syndrome: Vying within, and with each other, to break the law more audaciously than the last time. Gaining 'naughty schoolboy' kudos every time they get away with it, in the knowledge that oversight is so weak they may never be prosecuted. Perhaps they've been blackmailing the headmaster? Somewhere down the line they became more worried about the press, parliament and public finding out what they're up to than doing their job. That's the wretched tale of how GCHQ and the NSA went over to the dark side, and everyone in the Western world became their signals intelligence target. 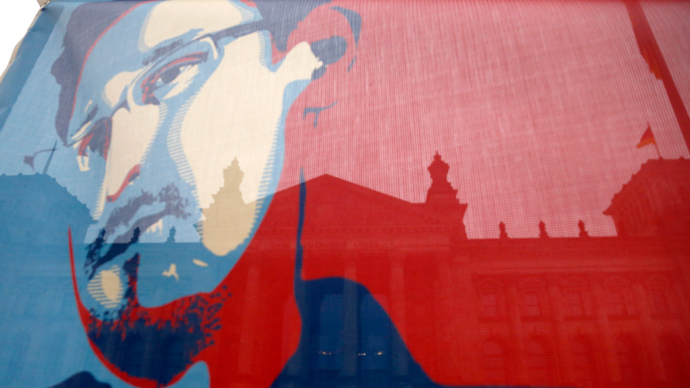 So how can such an important set of leaks be so twisted and trivialized in The Snowden Files? As plutocrats buy power and legal impunity, they look to exterminate next the only thing that can still harm their reputation: investigative journalism. This profession's health, or otherwise, is one of the most imperative indicators of a thriving culture. As news bites cross the synapses of the nation, the criminal elite's task has to be to fill London's newsrooms with sarin gas. In their 1988 book 'Blacklist', Mark Hollingsworth and Richard Norton-Taylor, exposed MI5's secret BBC personnel office, where journalists and producers had their careers shattered through smears or simple'errors'. Former MI5 counter-subversion officer, David Shayler, explained too, in the late 1990s, that 'MI5 have a spy in every newsroom.' If Luke Harding really wants to find his Stasi, perhaps he should take a stroll, 25 years later, round the corridors of Broadcasting House? But the expunging of anti-elite memes from our culture comes as much from lawyers as it does from sacking investigative journalists and trying to turn accountants into program makers and media managers. 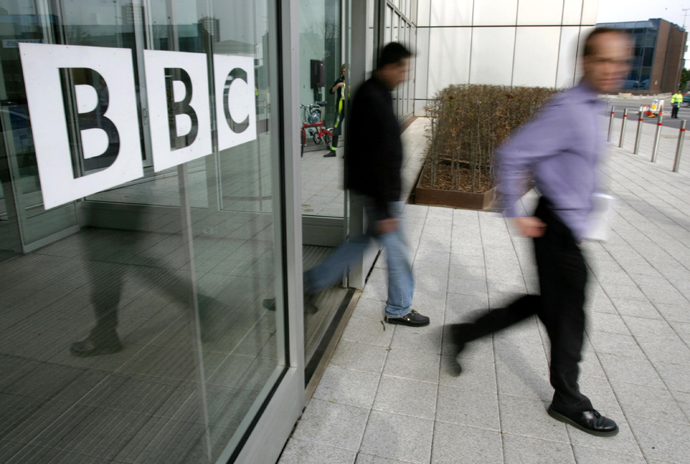 BBC lawyers, for example, refuse to allow national TV documentaries to show the full extent of City of London crime. As former financial editor of the Scottish Sunday Herald, now journalist and blogger, Ian Fraser puts it "The lawyers tend to block anything that's too controversial... It's intensely frustrating...The lawyers haven't changed their mindset since the  crash." When investigative journalism is stifled in this way democracy quietly dies. If ridiculous policies such as the costly 'Bedroom Tax' and Remploy closures can be rolled out with no proper critical analysis, then authoritarian minds begin to dream up even greater schemes of poor-bashing, disabled-bashing and related sadistic megalomania. While down the pub, punters mutter about the lies on the TV news, the politicians and those that buy them start to believe their own propaganda. From newspapers to television, internet to the radio and magazines and books, media in the West is becoming a commodity no different to sausages or killer drones, bought and sold for profit to the highest bidder, and he who pays the piper calls the tune. As single mega-businesses such as News Corporation, Viacom, Time Warner Disney & Bertelsmann have subsidiaries controlling all kinds of mass communication, there is eventually no wriggle room left for criticism of the power elite these media barons are part of. The same criminal elite, perhaps, that Edward Snowden is blowing the whistle on? In such a culture, media workers chase the dreams of the plutocrats, no matter how unhinged. This week's BBC4 TV hatchet job of a documentary: 'Storyville: Mad Dog - Gaddafi's Secret World', mocked the former Libyan leader and his dream of an economically and politically independent Africa. Like The Snowden Files, it may as well have been written by MI6 itself. But perhaps, faced by wall-to-wall propaganda, it’s to the spirit of late great screenplay writer (devisor of such epoch-making films as the 1970s gritty police drama The Sweeney and 1983's Reilly, Ace of Spies), Troy Kennedy-Martin that we should turn? "We had the Cold War, The Falklands, the nuclear state, the prospect of a miners' strike, Greenham Common," he says in the film 'Magnox' about his award winning nuclear drama 'Edge of Darkness'. "It was Thatcher's Britain. At the BBC there was no political dimension in their popular drama whatsoever and I was really depressed about it. As indeed were other writers that I knew. So I said to my closest colleagues, the only thing one can do is to write stuff that we know is not going to get made but at least we'll get it out of our system. That's how I started to write 'Edge of Darkness', I didn't really think it stood much of a chance of being produced." 1985's resulting explosive (literally) drama helped define the nuclear era whenever and wherever it has been transmitted. Yes, that's the spirit for today to nix this pernicious lie of the media barons' highly favored 'War on Terror'. And if such screenplays and manuscripts are turned down or otherwise dismissed in Britain and elsewhere, so be it. Honest creative talent, and the slow burn, high earn, revenue it brings in will, like Edward Snowden, simply travel the world in search of fresh air and more fertile soil.